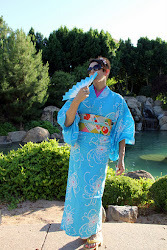 Shakunetsu no Kimono: The Tucson Japanese Festival is Coming! Tucson Japanese Festival celebrating the New Year, Japanese style -- coming up on Jan. 14, 2017 at Pima Community College downtown campus, 1255 N. Stone Avenue, 11 a.m. to 3 p.m. Featuring mochi (rice) pounding, taiko drumming, performances, food, games, ikebana, other Japanese cultural activities. $5 adults, free for children under 5 years. Sponsored by Southern Arizona Japanese Cultural Coalition (www.southernazjapan.org), Odaiko Sonora and Yume Japanese Gardens of Tucson. I'll be playing taiko, so see you there!